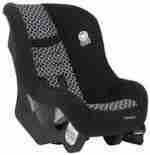 Galveston Convertible car seat rental installed rear or forward facing. Children under 1 year old and under 22-lbs should always ride rear facing. 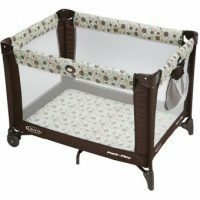 Galveston Convertible Car Seat Rental is installed both rear or forward facing. 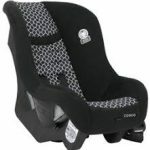 This convertible car seat is a basic transitional car seat, meaning it is for children too large for an infant seat but not yet large enough for a toddler car seat. Children under 1 year old and under 22-lbs must always ride rear facing. Parents can turn a child forward facing legally at 1-year. However, the NHTSA and APA recommend that children remain rear facing until age 2 or longer. If you require a rear facing convertible car seat with an increased rear weight limit, call us for suggestions. We have a variety of Galveston convertible car seat rentals, thus can accommodate many needs. Our cleaning process is extensive and we clean Galveston convertible car seat rental shells with a hospital grade disinfect for bacterial, viral, and mold/mildew. Followed by steam cleaning at 160 degrees to assure no bedbugs or lice stand a chance. 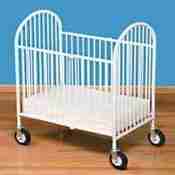 Thus, our cleaning is superior to any other Galveston baby equipment rental supplier. If you depart prior to pick up, then call to notify us so we can reschedule your Galveston convertible car seat rental pick up time.